As the Knicks ran onto the court before Saturday night’s game against the Wizards, one young fan who was lucky enough to be in the pregame high five line decided to get himself on TV to prove it. He also got himself all over the internet. This entry was posted in Articles and tagged kevin seraphin, kevin seraphin fan, kevin seraphin kid, knicks fan, KNICKS MEMES on March 20, 2016 by Tommy Rothman. Kristaps Porzingis finished a bit shy of being voted in as an All-Star Game Starter, but he’ll definitely participate in at least one event in Toronto. Porzingis was named to the Rising Stars Challenge, a game played on the first night of All-Star Weekend between the top rookies and sophomores in the NBA. Porzingis, who hails from Latvia, will play for the “World” team. Will Porzingis be selected for a skills competition, the dunk contest, or some Saturday event? He’s a long shot to be named a reserve for the big game, but you have to figure the NBA would like to tap into his mammoth popularity with one more event. This entry was posted in Articles and tagged KNICKS MEMES, Knicks news, kristaps porzingis all star weekend, porzingis rookie game on January 27, 2016 by Tommy Rothman. Every year, we make a quiz asking you to name every player on the Knicks. This year’s quiz is live! You can give it a try by clicking here to play! The 15 answers are the 14 players on the Knicks’ current NBA roster, plus the coach. There are some bonus answers, including all of the D-League guys. Last names are accepted. The quiz will be updated as the roster changes. Give it a try, SHARE it to challenge your friends, comment your score, give us a rating, and give us some feedback! See how many tries it takes you to get the whole team! This entry was posted in Articles and tagged KNICKS, KNICKS MEMES, knicks quiz, knicks roster, knicks roster quiz, knicks sporcle on November 22, 2015 by Tommy Rothman. JR Smith might be in hot water for the 1000th time. Reports leaked Friday that Smith had been accused of choking a 19 year-old male at a pizza shop in New York. According to the NY Daily News and NY Post, Smith declined the teen’s request for a photo, and was told, “That’s why New York kicked you out!” provoking the often-emotional Smith to attack the teen. Smith was in New York to play his former team, the Knicks. The incident reportedly took place at 4 AM on November 13. Smith has denied the incident, as has his attorney. This definitely bears watching, as Smith is certainly on thin ice with the league office and his 30 potential NBA employers. This entry was posted in Articles and tagged jr smith attacks teen, jr smith choking, KNICKS, KNICKS MEMES on November 21, 2015 by Tommy Rothman. The Knicks beat the Lakers 99-95 on Sunday, behind 24 points from Carmelo Anthony. Carmelo also called on Knicks fans to be more vocal after Lakers fans invaded the Garden in full force for Sunday’s game. This entry was posted in Articles and tagged Carmelo Anthony, carmelo anthony laker fan, KNICKS, KNICKS MEMES, melo lakers fan on November 9, 2015 by Tommy Rothman. 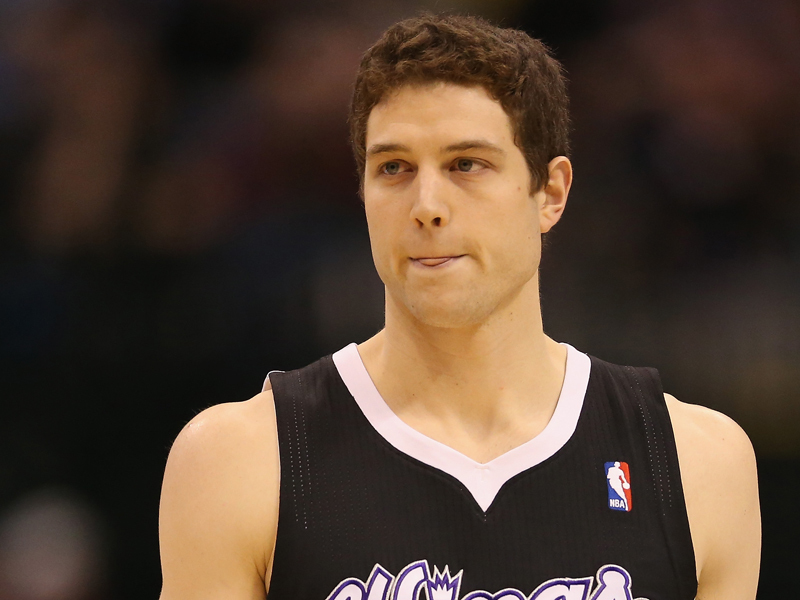 The Westchester Knicks selected Jimmer Fredette with the 2nd overall pick in the D-League draft on Saturday. Fredette, the 6-foot-2, 26 year-old sharpshooter, will report and play in White Plains as he auditions for an NBA roster spot. Fredette was the 10th overall pick in the 2011 NBA draft. The Knicks have one open roster spot and, with Fredette being a lifelong Knicks fan, surely would have the edge in a potential race for his services (obviously, the next team to try to add him to their 2015-16 NBA squad will be the first). However, any NBA team is technically able to sign the former BYU superstar. This entry was posted in Articles and tagged jimmer fredette knicks, jimmer knicks, KNICKS, KNICKS MEMES on October 31, 2015 by Tommy Rothman.